It is time to head out into the world and put ourselves to the test. The Chariot card shows us that the work that we’ve done to date can and will lead to success, though the road may seem difficult at times. 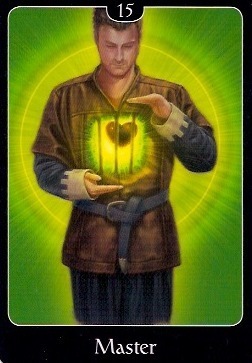 This card should come to calm the nerves of some of you that have experienced what felt like major setbacks recently. We are having to manage a lot right now – people need to be pleased, priorities need to be juggled, and we will most likely need to do it all while still taking care of a hundred other considerations. Despite the fact that we have so much going on, though, success is pretty much assured with this card. Polarities come together to be balanced, and faith will help us fly. 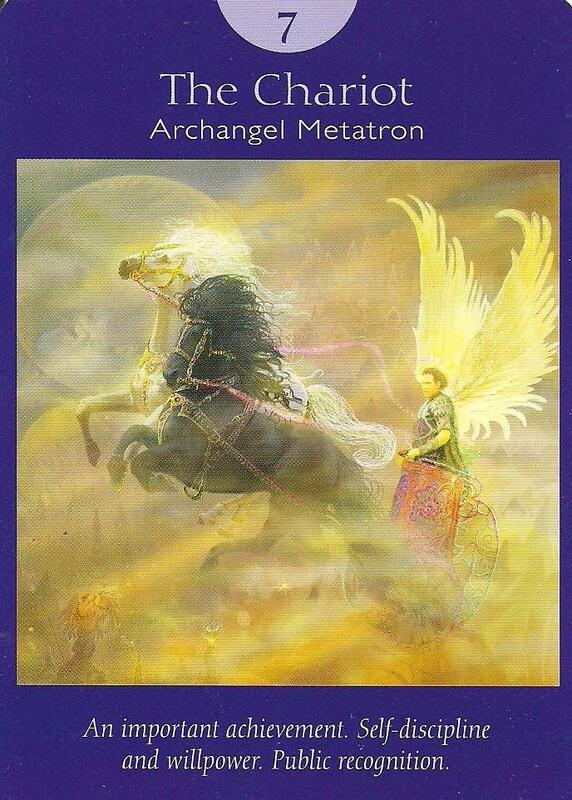 Archangel Metatron and his cube, the merkabah, or Chariot of God, which is pictured on the side of the chariot, can help us to manifest our dreams. Chances are that we will receive recognition for our work at this time. This may be difficult for some of you who may shy from the limelight, so if this is the case, take some time to sift through any fears around success you may have so that they may be released. Remember that for this trip, you won’t want to carry any baggage. Read more here, at www.janetraftis.com. The faeries want us to know that this is a week for reflection and introspection. 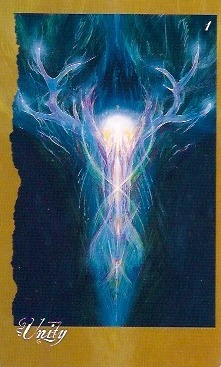 We begin with one of the Singer cards – Unity. The Singers are the angels and when one of these cards pops up in a reading, we are asked to acknowledge their presence in our lives and to give thanks for their support and guidance. They are always with us, and when we actively engage with them our lives can be enriched immeasurably. The Unity card reminds us that All is One. We are connected to one another and to Spirit in an interweaving and interrelated web – unified in a holistic and marvelous Universe. Read more at www.janetraftis.com. Categories: Uncategorized | Tags: Brian Froud, Certified Angel Card Reader, Janet Raftis, psychic readings, The Faeries' Oracle, weekly card reading | Permalink.